A selection of little-known art works that lay hidden in storage in the basement of the historic Sarjeant Gallery Te Whare o Rehua in Queens Park for decades are being brought out of wraps this month. REVEALED – Collection discoveries from our recent move which opened at the Sarjeant on the Quay on June 11, 2016 features more than 40 of the works. It also offers a unique insight into the stories behind some of the previously unknown or unseen art treasures in the collection. The exhibition is the culmination of a 21 month project headed by Curator of Collections Jennifer Taylor Moore and a team of transition assistants who worked tirelessly between April 2014 and December 2015 re-housing the collection. 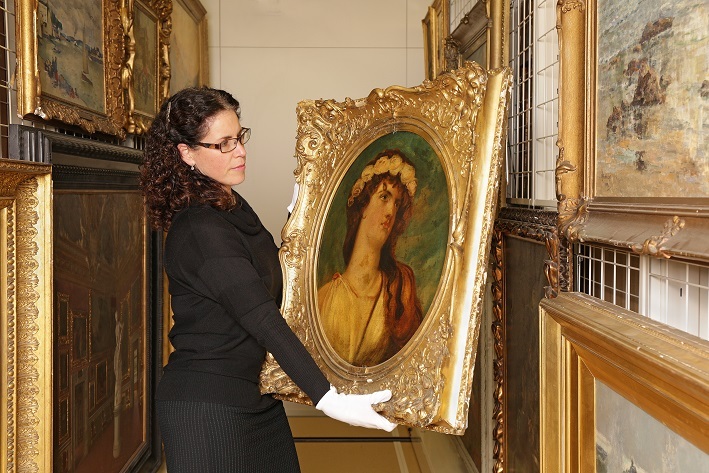 As more and more pieces were uncovered the number of art works making up the collection – which is already regarded as one of the country’s most extensive and valuable regional art collections – grew from the 5,500 known art works to more than 8,300. 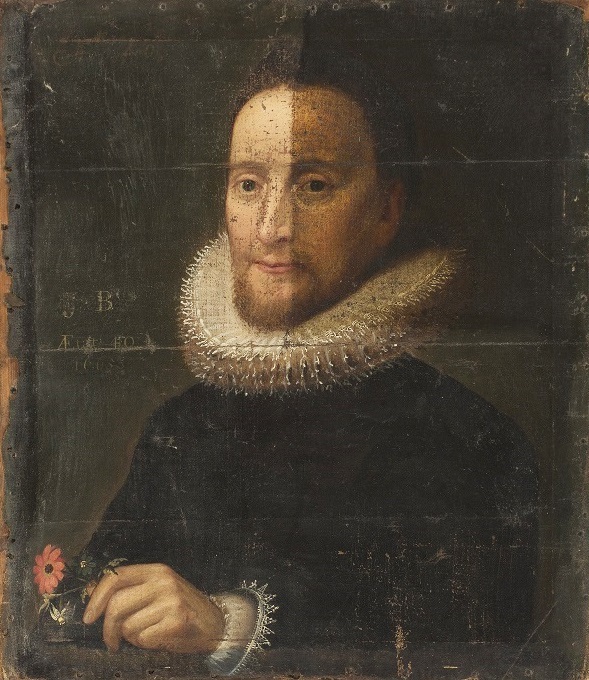 They include an untitled portrait of an Elizabethan gentleman dating back to the 1600s that was found between framed works on a basement shelf and a series of lithographs documenting the Crimean War discovered in a crate under some frames. A Jacobean embroidery of the Tree of Life that was gifted to the gallery in 1922 by Lady Annie Wilson of Lethenty, a historic homestead in Bulls, had been folded and left for years on top of a set of plan drawers. A collection of wooden hand crafted toys used by children who visited the Gallery in the 1980 that were retrieved from a storage box in the boiler room. A felt work made by Rutherford Intermediate School in 1978 is also included in the exhibition. Ms Taylor Moore says a mysterious inscription ‘McSweeney’ on the back of a work by artist Cliff Whiting – the first work by a Maori artist to enter the collection in 1973 – turned out to be a note for the resident gallery cat at the time. “It’s about what the works tell us and how they connect the Gallery with the local community and further afield. Revealed – collection discoveries from our recent move and a second exhibition See what I can see – Discovering New Zealand Photography are on display at Sarjeant on the Quay until September 18 2016.